Don’t miss the 28th Annual RIE® INFANT - TODDLER Conference! Join parents and professionals for what will be an extraordinary learning event! Skirball Cultural Center, 2701 N. Sepulveda Boulevard, Los Angeles, CA 90049. 8:30 AM TO 5:00 PM. it's not enough that babies receive good care, the care must be excellent." PLEASE ALSO JOIN IN THE EVENT AT THE SKIRBALL ON FRIDAY EVENING 5:30 to 7:30, OUR 28TH ANNUAL RIE®CONFERENCE CELEBRATION WINE AND CHEESE RECEPTION! Hear ye, hear ye! RIE® Comes to West LA! It is a thrill for me to announce the opening of my Certified RIE® Parent - Infant Guidance Classes in West Los Angeles starting Wednesday, May 3, 2017. The Parenting Center at Sinai Akiba Academy has a beautiful Family Center where I have arranged with the Director to teach my own private program, after a brief hiatus. The address is 10400 Wilshire Blvd, Los Angeles 90024, a security building with free parking. I will very much appreciate you referring any babies you know near my new part of town. Of course I am still teaching in Hollywood at the RIE® Center and actually have a few spaces in a sweet class of new crawlers that meets there Tuesday afternoons at 2:00. Here's pictures of snack time for toddlers, my oldest group of wonderfully authentic families that will "graduate" in a few short weeks :( and will be very missed! "When my daughter was just shy of her first birthday, we joined a toddler class. Every week, a dozen or so parents and the instructor would quietly observe the children, in an effort to raise 'authentic' and 'competent' human beings, with a minimum of intervention. Each week, the instructor would prepare a snack area on the floor. If a child wanted bananas and juice, he or she had to put aside the toys, sit down, and put on a bib. It was totally optional. But there were requirements. And it was astonishing to watch as these tiny children made their choices. Some went in for the snack in the first or second week. Others took longer. All of them got there eventually. my children near adolescence, I try to remember that I can guide them, but I can’t tell them what to think or feel. I can try to teach them to make good choices, but ultimately, they must be trusted to choose. And if they know what they want – if they can learn to recognize that special light inside themselves—and if they are brave enough to follow it—they will be satisfied. 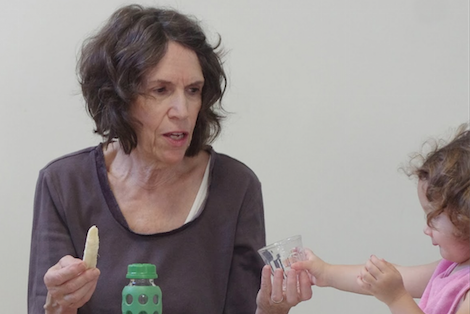 YOUNG PRE-CRAWLING BABIES AND THEIR PARENTS WILL BEGIN THEIR NEW RIE® GROUP IN WEST HOLLYWOOD STARTING WEDNESDAY, FEBRUARY 4th FROM 10:30 TO 11:45 am. French, Chinese or what's a parent to do? The infamous saga of eating out with young children continues. Picture twenty month- old Tim entering a neighborhood restaurant with his parents, toddling past some big potted plants just at his eye level. Tim reaches out for a fat green leaf and is about to grab on when his attentive mother speaks. "Timmy, that's not okay for you to pull. It looks like you want to touch it, so please be gentle." 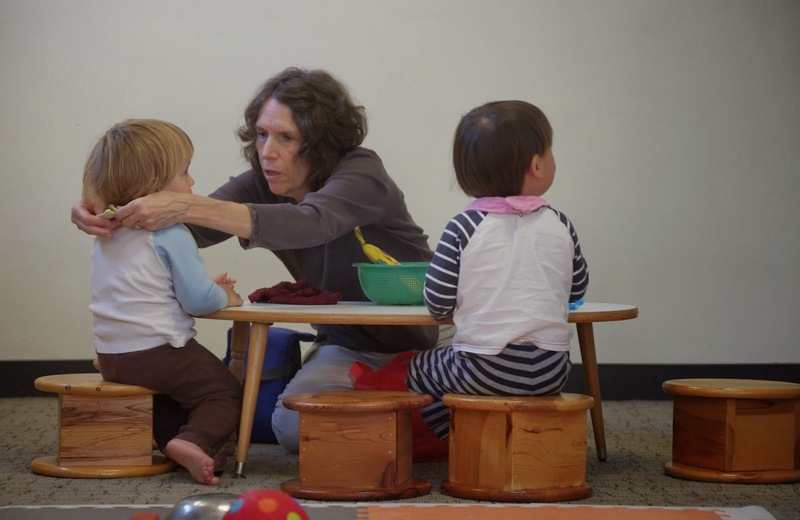 In turn the attentive, communicative toddler hears the message and lets go. Losing interest in the scenery and feeling hungry, the family moves to their waiting table for a meal together. Timmy truly wants to sit only on his mom's lap, and she tells him that will be fine for a while, but when their food comes, she wants him to sit in his seat too. Sure enough, soon he is placed in his seat, offered a bib to wear, and eats his meal alongside his parents. But in a while it's clear that this toddler needs more room, and they're all on their way home, hunger satisfied. What goes on here? It looks and sounds like these people have relationships with each other that enable their lives to function in a pleasant, harmonious and cooperative manner. Were these parents finding a way to see their role through humanized eyes, growing in new directions towards healthy patterns of mutual satisfaction and care in their family? Have they fostered something that makes early childhood less difficult than the typical public eating out scenario? Sounds familiar...and it doesn't seem like they were controlling their toddler by forcing his compliance. What about their parenting style? Is it French or Chinese? Years ago a letter to the Times stated “Parenting trends come and go but children’s needs never change.” This is true no matter if one emulates last year’s “Battle Hymn of the Tiger Mother” or the latest “Bringing Up Bébé.” As Magda Gerber, Founding Director of Los Angeles-based Resources for Infant Educarers said, “When allowed to unfold in their own way and in their own time, children discover, manifest and inspire the best in themselves and in others.” The buzz is high voltage on these two books, hot-housed in PR firms and creating the controversy over authoritarian vs. permissive parenting while bashing today’s parents and kids. What Tim’s parents were doing was communicating and responding to their child, intentionally allowing his cues to inform them – a parenting approach they began experiencing when Tim was first born. As new parents they became aware that the developing relationship between parent and child was primary as they slowly learned to look to their baby to find out what he needed instead of projecting their needs onto him (a familial dysfunctional pattern best avoided in one’s own new family). These parents would later learn how that enduring concept would influence the years far beyond infancy, resonating for them every day long into adolescence. Parenthood provides a difficult but therapeutic stage of adult development that I have studied and processed for decades as an infant developmental specialist. In my masters degree research with families of young children, the outcomes of a standardized attitudinal test showed very little stress from a group that had been participating for two years in a program offering Magda Gerber’s EducaringTM Approach. These parents perceived much less burdensome aspects of their roles, an experience that many fed-up parents and boundary-less kids today would no doubt covet. By sensitive observation of a baby, the parent may make fewer but more selective and more effective interruptions in the child's activities. Being actively allowed to explore safely builds trust in oneself and those significant others who accept you and your yearnings, both physical and emotional. Responsiveness to a child's signals on an emotional level, the quiet availability and facilitation of striving for independence, is shown by the caregiver's willingness to allow the child's autonomous functioning and help him achieve a sense of his own competence. "A consciousness in everyday interactions which bring forth respect," is the way one parent who benefited from RIE’s supportive parenting classes describes the daily process of fully experiencing growth and change together. Vital life-long patterns of communication being formed will affect the parent-child relationship throughout its existence where self-discovery offers a process for mutual growth and development. Magda Gerber wrote decades ago in The RIE Manual: for parents and professionals “Nobody said it was easy to be a parent” She identifies the two major difficulties as ”The On-Goingness of Being a Parent” and The Technicality of Being a Parent.” Her prophetic words tell how “these two realities…impinge on the attitudes of today. “And these realities don’t have to be so overwhelming if the parents have strong support, both that of their peers and of society itself. If the parent’s job is recognized as tough and society supports parenthood and its toughness, then the parent feels strong….I’m not talking about glorifying parenthood the way they…hallelujahed parenthood so much…out of proportion that no one could live up to that false ‘perfect’ image of the super parent. That was the pitfall of those times.” (p. 25) Nothing’s changed much, in fact parenthood has morphed into a publicist’s dream in the culture vulture mentality. Almost everyone knows how expectant parents are practically given a riot act of woeful predictions: “Better sleep now – it’s your last chance” – “Twins? Double trouble!” –“Your life is never going to be the same!” What’s a parent to do? Resign oneself to the ominous challenges by accepting the vision of sacrificial martyrdom and hovering, up to and including your child’s first job applications? Or understand some possibilities for finding community, making conscious parenting choices that could help develop more harmony and balance in a family’s life from the beginning…and for the long run too. The 10 Day Summer Intensive RIE Training is open for limited enrollment. "Developing Perspective: The Give and the Get of Infant-Adult Relationships"
The workshop offers knowledge about gaining awareness and regard for another’s point of view, a major key to building relationships between humans. Connection comes from the art of perspective-taking and its partner, perspective-giving. When approaching infants with sensitivity and respect, the adult has the opportunity to teach about mutuality and support each other gaining skills of perspective, that formative regard for each other's point of view that shapes human development. 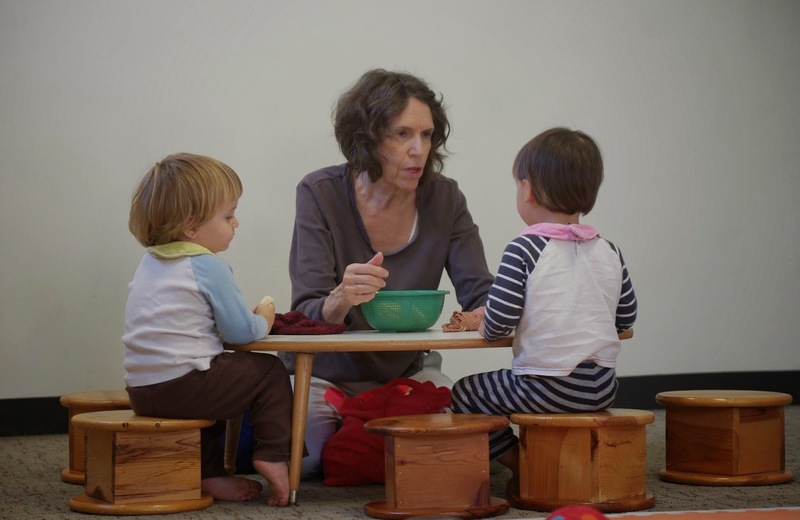 Liz resides in Ojai, California and provides weekly RIE® Certified Parent-Infant Guidance™ classes for families with children from birth to age two in her beautiful home studio as well as in the Hollywood RIE® Center and in her own private classes in West Los Angeles. Trained over time with renowned infant specialist Magda Gerber, Liz has more than thirty years’ experience consulting with and guiding adults, including professionals, who care for infants and toddlers. As a RIE® Mentor™ Teacher, she instructs RIE® professional development students in the RIE® Foundations, RIE® Practicum™ and RIE® Internship™ courses, locally and in outreach programs, having instructed in New York City and Tucson, Arizona and Michigan. Liz also teaches RIE®'s Before Baby™ Course for expectant parents and Nurturing Nanny™.